Analytic expressions were derived for the compressibility factor and residual internal energy of the square-well plus Sutherland fluid. 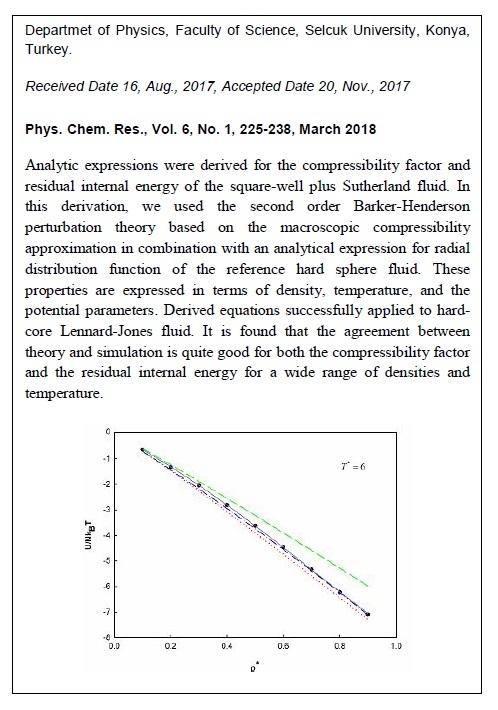 In this derivation, we used the second order Barker-Henderson perturbation theory based on the macroscopic compressibility approximation together with an analytical expression for radial distribution function of the reference hard sphere fluid. These properties are expressed in terms of density, temperature, and the potential parameters. Derived equations successfully applied to hard-core Lennard-Jones fluid. 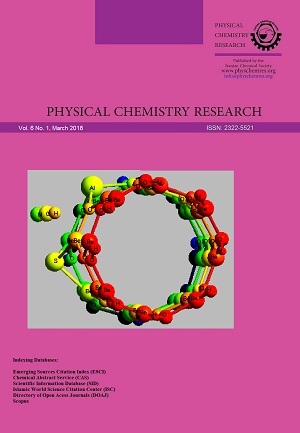 It is found that the agreement between theory and simulation is quite good for both the compressibility factor and the residual internal energy for a wide range of densities and temperature.